Beta-AlanineFireSnake Beta Alanina - 250g. 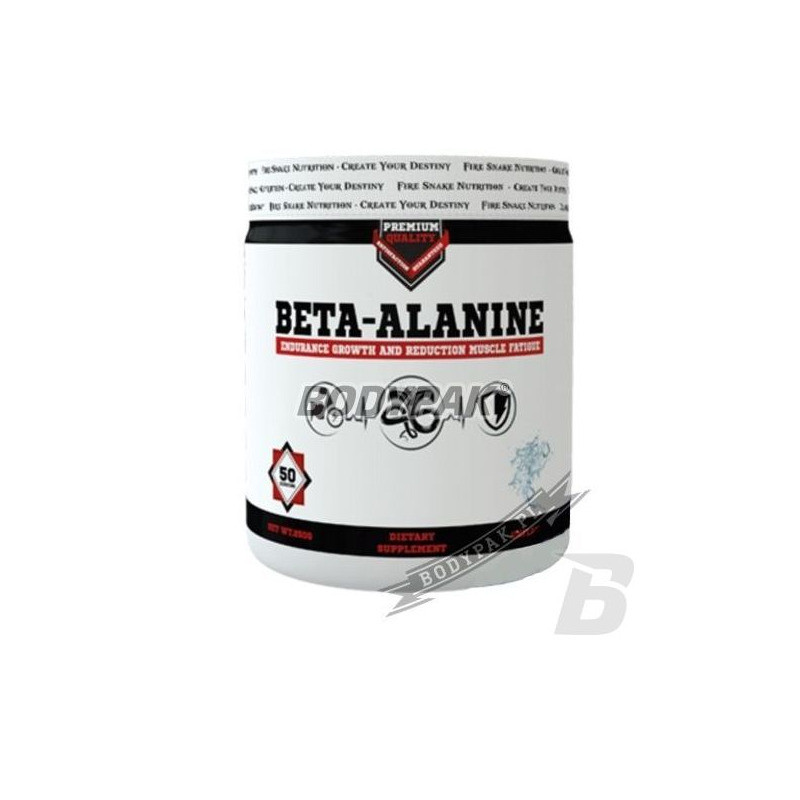 Beta Alanine is a product designed to maximize the delay fatigue. Thanks to the high purity beta alniny and histidine increase the durability and productivity in the training and will improve regeneration immediately after it. 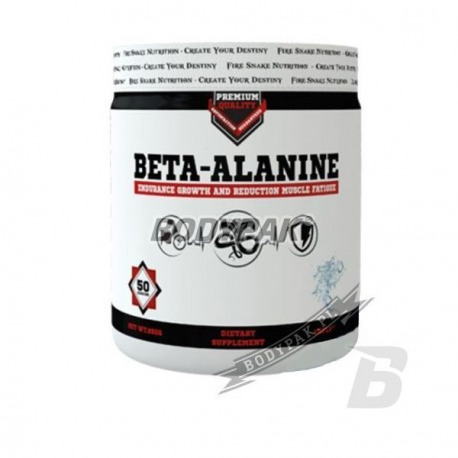 Beta Alanine is a product designed to maximize the delay fatigue. Thanks to the high purity beta alniny and histidine increase the durability and productivity in the training and will improve regeneration immediately after it. The product in the purest form of powder without any fillers! Beta-alanine and L-histidine dipeptide building blocks are components of beta-alanyl-L-histidine, also known as carnosine. Carnosine attributed to the antioxidant, buffering search of free radicals, even neurotransmitter. Carnosine is found in high levels in skeletal muscle and is located in particular in the strongest type II muscle fibers rapidly oscillating. Carnosine "grabs" ions H (+) and delay the drop in pH increasing the capacity for heavier and longer training. By increasing the amount of carnosine supplementation we can enhance our ability to fight lactic acid, which is formed in the working muscles. Russian scientist S.E. Severin has already proven in 1953 that carnosine neutralises the effect of lactic acid in the muscles. The tired muscles meet the acid and PH factor falls. By bringing carnosine muscles regain strength once again and take a job as if it were never tired. This phenomenon is called "Severin phenomenon". The product does not cause weight gain or bloating. It contains no stimulants.